I chanced upon this book through “By the Book” and I think it was one of Elizabeth Gilbert’s favourite books and since I love what she writes, I went by her recommendation and read this one. This book is not a happy read. But it is honest, heart-wrenching, true and hopeful as well. Abigail’s life comes to a standstill when her husband Rich gets hit by a car and his brain is shattered. He cannot comprehend anything. He remembers her in bits and pieces and her life is completely torn apart. She has to rebuild her life around this tragedy, and her new family is of three dogs and hence the title. The book is deeply profound and emotional. Abigail’s views on life, death and continuing after the partner is no longer able to even recognize you is extremely touching and strikes a chord with readers. She grapples with guilt, with relationships that exist and with living a single life, thinking about the husband who isn’t dead but isn’t alive either. The writing is so poignant and yet so hopeful with the dogs providing so much solace and comfort. The bonds that are formed between man and animal are so beautifully portrayed in this book. 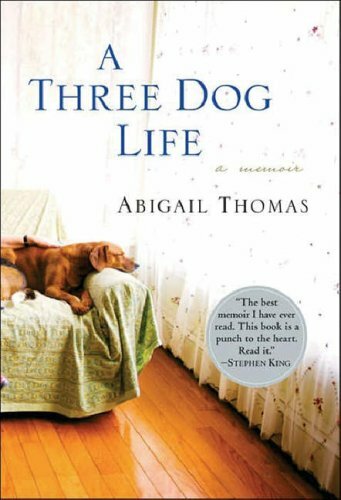 To me “A Three Dog Life” is a quiet meditation on what life goes through when it falls apart and how it heals and repairs beyond everything and more. This entry was posted in Books, Houghton Mifflin Harcourt, Mariner Books, Memoir, Review and tagged A Three Dog Life, Abigail Thomas, Dogs, Healing, Mariner Books, memoirs, Mental Healing, Spiritual Healing on September 19, 2015 by thehungryreader. Salman Rushdie is back after seven years to what he does best – tell a story. And not just tell a story but tell it across time, across eons perhaps, across everything and beyond your imagination. “Two Years Eight Months and Twenty-Eight Nights” – the word play on the title itself, adding to 1001 is in itself an indication of the master of words being back in his game. This book is different and yet so similar to his earlier books. Let’s look at what is similar and what is not, without giving away too much of the plot. In context to his other books, here is what sets apart this one: The tone is way too mature and yet edged with wry humour, which was very evident in The Satanic Verses as well. At the same time, the feeling of alienation can be felt which was the case in “Fury”. The magnitude of “Midnight’s Children” is most certainly present, but what is lacking is more of magic realism. It is the trademark for sure, nonetheless more was expected. The roller-coaster of a ride as the book zigzags from places, religion, fantasy, literature is something which has always been a part of his books – more so in this one and “The Moor’s Last Sigh”. In fact, at some point I thought that there was somewhere down the line a lot of recycling but with a lot of exuberance and verve. What isn’t there is the debate on religion which was a part of his earlier books mainly “Grimus” and “Shame”. What was also interesting was that at some point the innocence combined with a lot of angst that was a part of “Haroun and the Sea of Stories” could also be found as I turned the pages. I also think that the book is heavily influenced by Marquez’s writings. The combination of magical and the realistic are interwoven beautifully in Rushdie’s latest work. At the same time, it does take some time to get into the book, however once the reader does, it is not easy to get out of the land created by Rushdie. The book is a more matured version of Rushdie’s writings. There is a lot of profundity, with a balanced mix of magic-realism (the death of this word shall not come to be), mythology, history and of course not to forget love – at the core of the tale. The usual elements are always there, lurking in the background, even Bombay snakes itself in in the first fifty pages with so much ease. There is also the magic realism, which is present throughout, but of course since the book is about a Jinni named Duniya and her love for a human being and how the connection of her children over time comes to be in the near future. There is an element of apocalypse with a storm striking New York skies and something called the “strangeness” which occurs in its aftermath, linking all of Duniya’s children across the world. 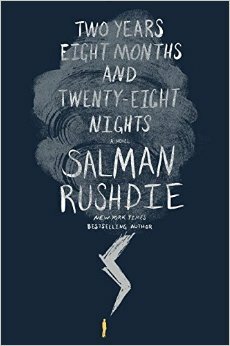 To me the story of “Two Years Eight Months and Twenty-Eight Nights” is simply breath-taking. I could not for tear myself away from the book. Where does the title come into play? The title is about the time spent by Dunia’s children fighting a war with each other as the days and nights unfold. The tales are nested, just like all his other books. There is no overtly political tone in the book, like was the case in his other works of fiction, which is very refreshing. The story is satirical (making its jabs felt on almost every page), it is also a metaphysical fable, it is also wicked and wise at the same time. In short, it is perhaps nothing like what Rushdie has written before. The reference range in the book is also wide – given he talks of Aristotle, Mickey Mouse and Henry James as well (besides many others), so much so that your head will spin faster and faster, right when you reach mid-way. Rushdie’s New York is another aspect about the book. He encapsulates the city like no one else ever has (I don’t only think that but also believe in it). The humour is absurdist in nature, reminding me of Gary Shteyngart. The Arab mythology angle is dealt with in a racier manner and I could almost find myself not being able to wait for those parts to come through. There is always this sense of dread mingled with excitement while reading a Rushdie novel. This book proves to be more and beyond that. I also think that maybe the gestation helped him to create something like this. All in all, I would say that “Two Years Eight Months and Twenty-Eight Nights” is the kind of book that comes along once in a while blending past, present, future, the mysticism and the real so innovatively that all you want to do then is reread it. This entry was posted in Authors, Authors I Love, Books, Hamish Hamilton, Literary Fiction, Magic Realism, Penguin Random House, Review and tagged 1001, apocalyptic, arabian nights, catastrophe, Fiction, hamish hamilton, literary, Magic Realism, mythology, new york, penguin random house, salman rushdie, two years eight months and twenty eight nights on September 17, 2015 by thehungryreader. Mythology according to me should strictly be pure. I don’t know, I may be wrong, but I do not like everyone’s point of view when it comes to mythology. Ajaya as is said is the story of the Mahabharata told from the perspective of the Kauravas. I was quite hesitant to read this. I had not read the first book Roll of the Dice so I read that one and then I lapped this one up quite immediately. I must say though I enjoyed “Rise of Kali” a lot more than “Roll of the Dice”. “Rise of Kali” is about Duryodhana and his story and role to play in the epic. It is about dharma and adharma. The book is well-structured and most of it is well-written. It is also quite interesting, but somehow I thought it was just way too long to finish in one sitting. 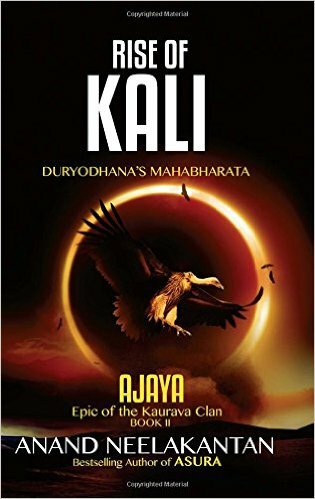 Having said that, “Rise of Kali” gives you an over-all perspective on the Mahabharata. May be that is the reason I enjoyed it as well. “Rise of Kali” is all about Suyodhana (Duryodhana) and about his conflict of emotions between right and wrong and why he does what he does. That struck me as something which I had never thought of, because of my prejudices. The book tests your patience as well. It is difficult to get into it initially but once the reader has, it is a different ball game altogether. I thought that Karna’s character was detailed quite well in the book and that is something which I really enjoyed. Anand Neelakantan draws on the characters quite well and that is something which is quite difficult to do and maintain in a book like this, given the scope of it all. I must also say that all in all, I enjoyed the book a lot. I think it will appeal to everyone who wants to see mythology differently. This entry was posted in Books, Mythology, Platinum Press, Review and tagged ajaya book 2, anand neelakantan, duryodhana's mahabharata, mythology, platinum press, rise of kali on September 8, 2015 by thehungryreader. 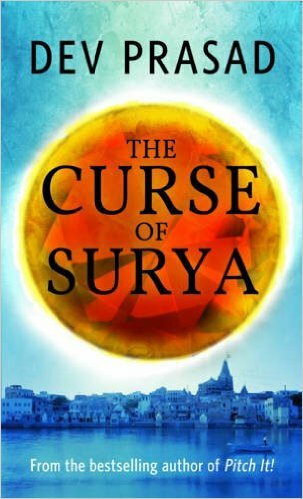 I never thought I would like “The Curse of Surya” but I ended up enjoying it a lot. It is a fast-paced book that ends before you even know it and leaves you hankering for more. It is a thriller set across Singapore and India which is perfect for Ashwin Sanghi fans and will also appeal to Aroon Raman’s readers. It is a thriller based on Indian mythology and about the quest for Shyamantaka – a jewel believed to have been lost for 5000 years. Sangeeta Rao, the protagonist is a TV anchor in Singapore who drops everything to go to Agra for a special story and that is when she gets embroiled with a Welshman Alan Davies to find the jewel and go through a lot of trials and tribulations. The thing about the book is the story. The plot is the king and that’s how it should be. The characters are well-etched and the banter between Sangeeta and Alan is worth it. It also has a wry sense of humour in some places, which is refreshing. The writing sometimes seems a bit tepid but carries pace when it has to and saves the day. I loved the way the book was written and the chapters kept revealing the plot lines, keeping me glued to the edge of the seat. “The Curse of Surya” is the perfect book to be read on a flight. Before you know it, it is over and done with. If someone asks me what thriller they must read next, which will get over soon and which will keep them hooked, I will recommend this one. This entry was posted in Books, Mythology, penguin india, Thriller and tagged dev prasad, Fantasy, historical, mythology, penguin books, suspense, the curse of surya, thriller on September 8, 2015 by thehungryreader. 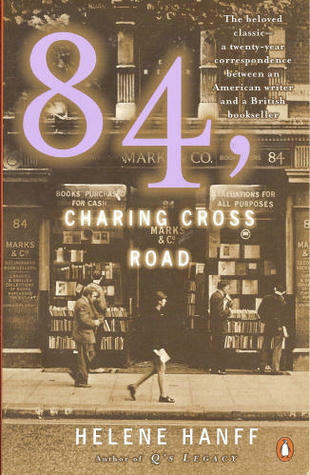 For the longest time now, I had been wanting to read “84, Charing Cross Road” by Helene Hanff. It was one of those books that were on my shelf for a while and every time I tried reading it, it did not go down that well. For such a book, I was surprised when I finished it in a day’s time. “84, Charing Cross Road” is a true story of two people who love books and mull over life and everything else in between through letters, without meeting each other at all. The epistolary use of form is fascinating, crisp and to the point in this book. The book is written plainly in parts, discussing love of books between an emerging writer in New York and a second-hand bookseller in England. It is about Helene’s experiences with Frank and how their lives merge because of love for books. The entire book is in the form of letters between the two and also between Helene and other people working at the bookstore, “Marks & Co.” The correspondence runs from 1949 until 1969, where they exchange gifts, news of their families and friends and about the love and tenderness people can have without meeting each other. Books of course play a vital role and are at the core of this book. “84, Charing Cross Road” is a friend which will warm you on a cold night. It is something which is needed for the book lover’s soul and comes highly recommended from me. It is the kind of book which every book lover should have a place for in his or her library. I cannot stop recommending it to everyone I meet. Might I also add, that I have just received the DVD and cannot wait to watch the movie version starring Anne Bancroft and Anthony Hopkins. This entry was posted in Books, Epistolary, Non-Fiction, Penguin Books and tagged 84 Charing Cross Road, Books, Epistolary, Helene Hanff, literature, Marks & Co, penguin books, reading on September 3, 2015 by thehungryreader.